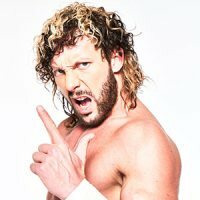 With New Japan Pro Wrestling's latest excellent outing in the United States over the weekend, it's important to reflect on the fact that without Omega, none of this would be as memorable or as important. He's the firing pin that sets off the creative explosion that has gripped fans internationally as they watch NJPW, the charismatic out of the box personality that enraptures and inspires simultaneously. Teaming with his Golden Lovers partner Kota Ibushi for the first time Stateside, Omega entered an incredibly wild and awe-inspiring tag team war with Nick and Matt Jackson, The Young Bucks. Although fought with the weapons and maneuvers of modern pro wrestling and beyond, it invoked the emotional tugs of past tag team classics and kept fans watching around the world glued to the edge of their seats with every dramatic twist and high-flying moment. It was yet another classic that will be debated over the years with Omega the central figure. That is the type of milestone that requires him to peak at the top of the FITE rankings. The WWE Universal champion appears to be coming to end of his World Wrestling Entertainment tenure and he is saving the best violence for last. Following a tremendous interview from Advocate Paul Heyman, Lesnar was confronted by WrestleMania challenger Roman Reigns, igniting yet another chaotic brawl that saw the antagonistic "Beast" leave his opposition laying, the proper story-building move. Lesnar does the most with the least, but this week, that explosive onslaught is enough to keep him near the top of the FITE rankings, reminding everyone that the former UFC Heavyweight champion is always in wait, ready to pounce and remind the world over that he is one of the best. Whether WrestleMania will be his final chance to showcase that remains to be seen, but s Mr. T once famously said, "I predict pain." Pain and an amazing performance. In his second week back as a cleared WWE professional wrestler, Daniel Bryan set the stage for his in-ring return with the announcement of a tag team encounter against Kevin Owens and Sami Zayn at WrestleMania. While Bryan's return was enough to top the FITE rankings last week, this week he slips down to number three, despite giving an incredibly intense interview where he promised to take out his attackers and return to form as a WWE combatant. Bryan's incredible popularity was on display, showing that the excitement over his return was not a fad, but a return to form. In the days and weeks to come, his return performances will be held under a microscope, but one thing is for sure - Yes, Bryan will be a permanent fixture here in the FITE rankings based on his promo skills and news-making abilities. When Bryan finally steps back inside the squared circle, everyone is in for tough competition to keep up with him. Matt and Nick Jackson become the first-ever tag team to hit the FITE rankings following their excellent main event at the New Japan Pro Wrestling Strong Style Evolved event, which was broadcast internationally from California over the weekend. With their main event encounter against long-time ally Kenny Omega and Kota Ibushi, the kings of Rancho Cucamonga had their biggest platform to date, enrapturing thousands of fans with an all-out war spotlighted by some of the most futuristic action imaginable. The match also spotlighted how well rounded the pair have become as well as how underestimated they are as overall performers in the ring, something brought on by their snarky on-screen personas. The Jacksons have painted masterpieces that have shifted the landscape of professional wrestling, brought tag team prominence back across the spectrum and helped revolutionize what it means to be a star and how a star can be branded. Those are wonderful, amazing accomplishments, but this week came the crown jewel, a tag match that will be discussed and dissected by viewers forever. That's the type of newsworthy work that brings them to the FITE rankings. After the brutal beating he took last week at the hands of the WWE Universal champion, Roman Reigns returned to Monday Night Raw to show that he was a man ready to face down his attacker and anything else that came his way. 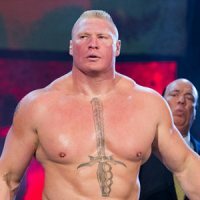 This sparked an entertaining melee to kick off Raw as WWE continued to build towards the Reigns-Brock Lesnar WrestleMania battle. Following another weekend of strong live events showings, the brawl on Raw was designed, yet again, to elicit sympathy from an audience that has proven to be anything but sympathetic to "The Big Dog", it was extremely well executed and showed off his usual prowess, while also potentially sending him into WrestleMania as an injured underdog. Like John Cena a generation ago, Reigns is the core of the company, even if the most ardent WWE supporters don't want to give him credit as such. Here in the FITE rankings, however, his work and ability to continuously invoke an emotional response from the audience also generates his move back up this week. With WrestleMania and championship gold in his sights, Reigns looks to continue to ascend our rankings. With WWE champion AJ Styles relegated to cameos in tag team bouts as he nurses an injury, Shinsuke Nakamura has been given additional spotlight to help bridge the journey leading into towards their WrestleMania showdown. On this week's edition of Smackdown Live, Nakamura sent a message to Styles, making it clear he had his number. Before that, he was involved in an entertaining main event against Shelton Benjamin, winning a memorable bout that set the stage for Nakamura to rescue the WWE champion and then warn him that the championship could soon be in Nakamura's clutches. 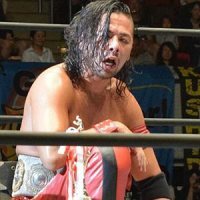 With his autobiography coming closer to publication, it's quite possible Nakamura will be autographing them as the WWE champion. Nakamura's WWE run has been haphazard, but as WWE inches ever closer to their biggest event of the year, the flagship PPV looks to provide the stage for the biggest match of Nakamura's WWE thus far. The King of Strong Style may finally have his throne and his work this week reflects that. On the same week his daughter was born (a moment that will certainly make WWE reality television in the very near future), WWE Intercontinental Champion the Miz continued to plant his flag as one of the best antagonists in all professional wrestling. 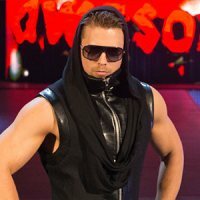 His Miz TV segment this past Monday continued to stoke the fire of his championship defenses against Seth Rollins and Finn Balor while also The Miztourage, raising their profile in the best way possible. Miz's work consistently entertains and improves. At WrestleMania, he walks into one of the most important Intercontinental championship defenses in years, one he single-handedly cultivated with his work and his mouth. That's the type of work that resonates across the globe, especially in the FITE rankings. With her WWE Raw championship match against Alexa Bliss a reality, Nia Jax continued her winning ways this week with a victory over Mickie James. After soundly defeating the former WWE Divas champion, Jax was attacked by Bliss, showing zero signs of damage. Realizing the folly of her ways, Bliss retreated into the relative safety of backstage, convincingly reminding the WWE audience that come WrestleMania, she may very well be doomed. WWE's portrayal of Jax in recent weeks has been a slow burn built on creating a deeper characterization and a believable heroic personality. Thus far, she and WWE have been hitting it out of the park, setting the stage for what may result in a major grand slam for Jax and the Raw Women's division alike. Whether she emerges from WrestleMania as champion or not is secondary to the true climax of this story, Jax emerging as a changed, improved, star. Everyone loves Rusev Day. All one needs to do is listen during Rusev's matches for the WWE Smackdown brand. 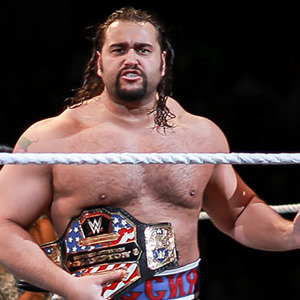 This week, Rusev was awarded for his consistent in-ring performances and cult popularity, being named the fourth competitor in the WWE United States championship bout at WrestleMania 34 in New Orleans. The Bulgarian Brute has long been one of the most underutilized performers in WWE, but this week may have been the turning point. Scoring the pinfall win over reigning champion Randy Orton and Bobby Roode in a tag team bout on Smackdown, Rusev is poised for his biggest WrestleMania appearance in years. The monster that once battled John Cena has emerged from the darkness. Aiden English may not be the only one erupting into celebratory song at WWE's biggest show of the year. Impact Wrestling has a new monster in town and this week on Impact's weekly series, he conquered the Monster's Ball. After several weeks of Kong and his mentor Jimmy Jacobs being primed to ascend to the next level, Kong faced off with his own personal Godzilla in Abyss. In a melee that featured barbed wire boards, kendo sticks and other blunt instruments of destruction, Kong brought the battle to "The Monster" and in victory, raised his credibility and might to the next level. Kong is a throwback of a bygone era, the colorful rampaging beast. 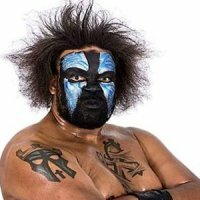 Equal parts marauder and conqueror, Kongo Kong has captured the eye of Impact viewers and exemplifies the type of personality who garners attention for a promotion that undoubtedly needs that attention as it attempts to farm the scorched earth left behind by past owners and their misgivings. Kong stands strong as a member of the new breed of Impact stars as the promotion heads into its Redemption PPV event on April 22nd.